Early December I start to plan to make cookies for the people who help make my life easier. After going through a number of vintage recipe books to mark the cookies I intend to make, I remember there is a much easier, and quicker option: cookie walks! Must be a midwestern tradition because I don't remember seeing any on either coast when I was working there. Usually women's groups offer them; the ones I know are associated with churches and their Christmas bazaars. 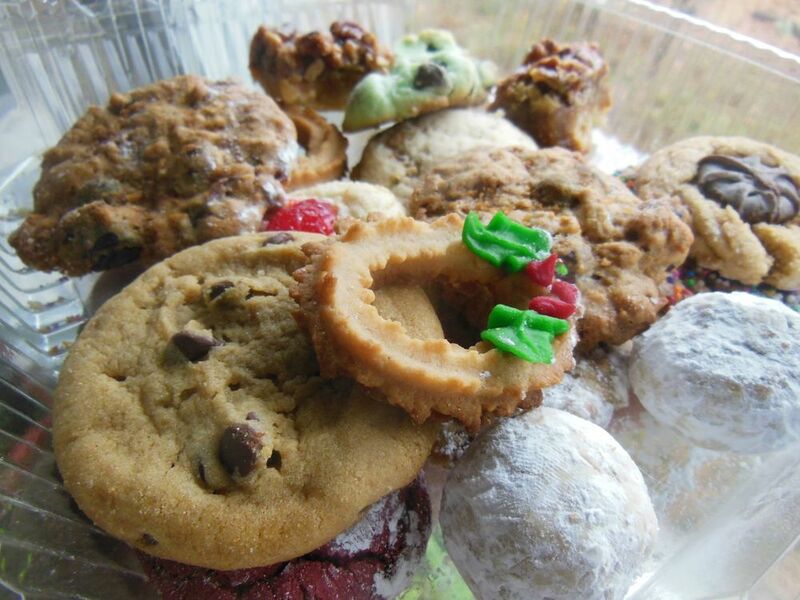 I picked up a pound of homemade cookies myself today, focusing on a nice variety: sugar cookies, snickerdoodles, oatmeal raisin, pecan rolls and there was a cute little snowman with sugar button eyes that never made it back to the house. Not sure what the red cookies are but they looked festive. The green ones have chocolate chips and mint flavoring. One pound of cookies, measured on a very old scale owned by one of the cookie baker's great grandmothers, cost $6. You don't see any snickerdoodles? Oh, wait, I chose those for my quality control testing. They went the way of the snowman sugar cookie. 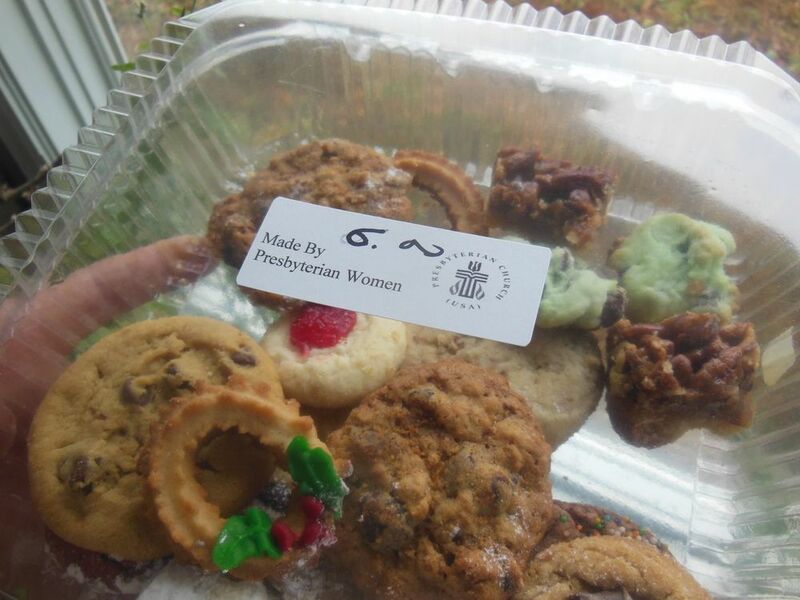 Humm, may need to go back and get more cookies!